Pros on Call is a family-owned locksmith service provider headquartered in Austin, TX. We’ve been taking care of the industrial, residential, and automotive security systems and locks of Harlingen, TX and surrounding regions for more than five years and we are constantly looking for dedicated locksmiths and technicians to join our Harlingen, TX branch – Harlingen Locksmith Pros. If you are currently a skilled lock technician serving the area around Harlingen, or wish to become one, and you are thinking about working at a full-time job for one of Harlingen’s top rated locksmith companies, we would like to meet you! We have an exceptional track record among the homeowners, business owners, and drivers of Harlingen. 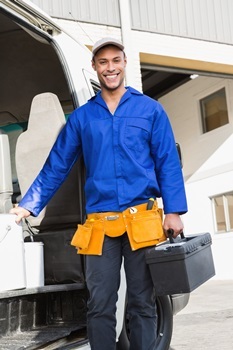 We offer preference to lock technicians wanting to relocate nationwide or within Texas itself. Full service locksmiths are responsible for last minute and scheduled jobs in Harlingen, Texas and neighboring areas involving fixing, replacing, and re-keying auto, industrial, and residential locksets. You’ll also deal with inquiries for duplication of keys, various lockout situations, laser cutting keys, and programming car transponder keys. Please be aware that since this is a full-time position, you will be required to be on call for many hours. Just starting out your locksmithing career? Have some mechanical experience? We’ll provide training for applicants who are devoted and ready to learn! Those who are determined can eventually work in all areas of locksmithing that our company offers, and have the opportunity to go into a rewarding and enjoyable vocation! Salary for this job is commission-based, dependent on experience and salesmanship. If you think you fit this job completely, then we would like to hear from you! Make sure to send your resume with 3 references to manager@harlingenlocksmith.com. You can also call us anytime at (956) 261-5978. * Pros on Call believes in equal opportunity employment so all qualified applicants regardless of gender, color, race, sexual orientation, religion, disability, or veteran status will be considered. ** Skilled applicants will be required to undergo a criminal background check and drug testing before working for Pros on Call.